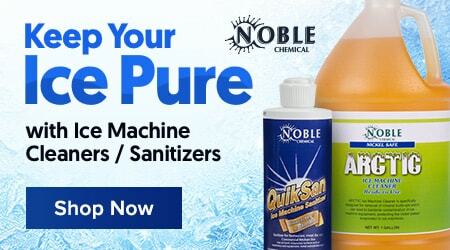 Transport and store up to 175 lb. 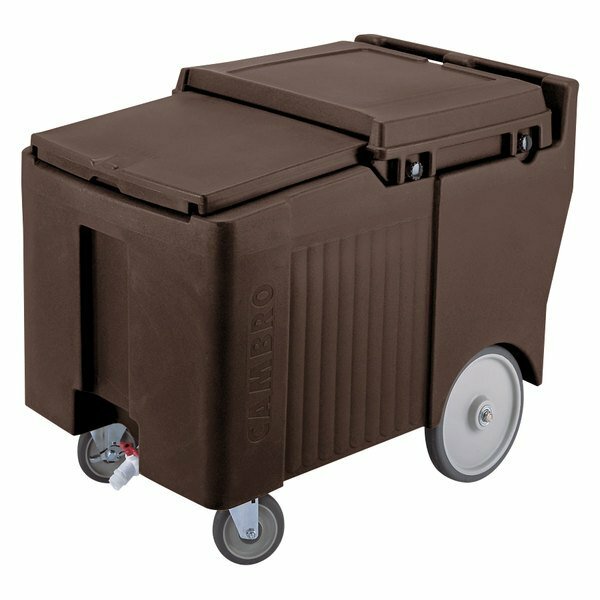 of ice for days with the Cambro ICS175LB131 SlidingLid™ dark brown portable ice bin / caddie! A unique sliding lid provides easy access while it also reduces the risk of cross contamination. A recessed well and drain shelf keep the ice out of the water, extending holding times. Because of the low clearance and design this unit fits underneath standard 35" counters to save on valuable space. Two heavy duty 5" casters (2 swivel, 1 with brake) and two 10" easy wheels combine with molded-in handles for easy maneuverability. A recessed handle on the front of this ice bin enables easy lifting, too. This Cambro portable ice bin is made of durable polyethylene and thick foam insulation that will hold ice for days. The light weight polyethylene material makes this ice bin easy to transport and perfect for your catering event, summer party, or outdoor bar. It also will not crack, dent, bubble, chip, or break, giving you a long service life. The Cambro ICS175LB131 portable ice bin with sliding lid measures 37 1/2"L x 24"W x 29 1/4"H.